MONTREAL -- A widow whose husband and daughter died when their motorcycle crashed into a woman's car as she helped ducks on a highway is satisfied with the 90-day jail term the accused received Thursday. 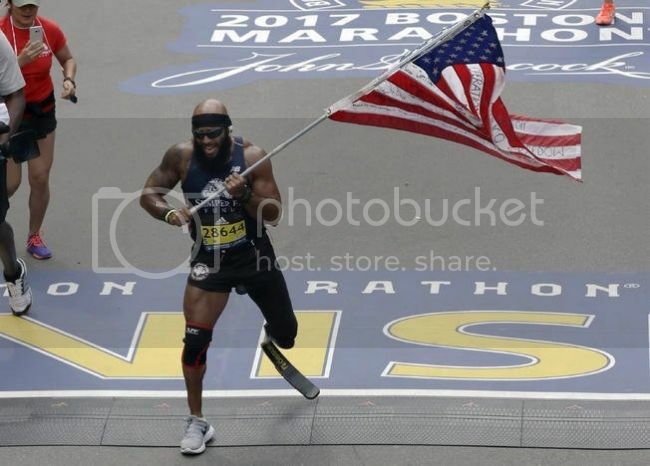 2 people were killed some should be some penalty, but no malice or intent. 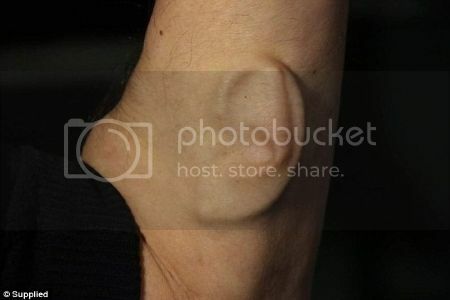 As if growing an ear out of your arm isn't bizarre enough - now artist, Stelarc, plans to connect the internet to his new organ. It took the Curtin University professor 10 years after coming up with the idea in 1996 to get a team of medical experts to agree to his unusual request. But the strange project doesn't end there as the Perth-based artist plans to make the organ more three-dimensional by lifting it off his left arm and growing an ear lobe from his own stem cells. Then a miniature microphone will be inserted into the ear that can wirelessly connect to the internet. This has been attempted before, but then the microphone had to be removed due to an infection. 'This ear is not for me, I've got two good ears to hear with. This ear is a remote listening device for people in other places,' he told the ABC. Houston-area homeowner’s association is roaring. It's upset about the new Jurassic Yard in the neighborhood. 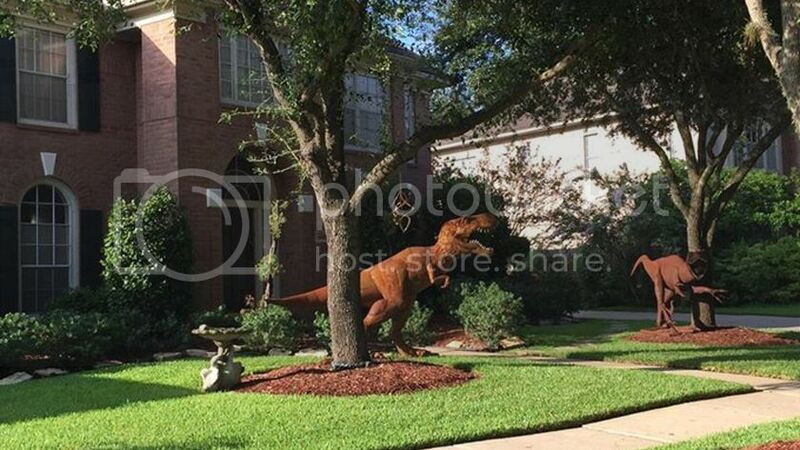 Homeowner Nancy Hentschel recently put up giant T-Rex and velociraptor sculptures in her front yard. They have been attracting people to her quiet, tree-lined street in Sugarland, Texas. Children and curious onlookers seem to be delighted by the prehistoric additions, but the New Territory HOA is not. It wants the dinosaurs extinct. Even though the sculptures violate Hentshel’s deed restrictions, she isn’t budging. The neighborhood Facebook page has mostly supportive comments. Some residents think the sculptures should have been placed in the back yard, though. Hentschel promises some special effects for Halloween if the dinos are still standing then. A service technician caught on hidden camera urinating into a coffee mug during a 2012 house call to repair a leaky sink before he became a Conservative election candidate is no longer running, the Tories said today. Jerry Bance "is no longer a candidate," said Conservative spokesman Stephen Lecce in a brief email to CBC News on Monday. Lecce later confirmed to CBC News that Bance was dropped for not being truthful during the candidate screening process. Why the WP would do an investigation (and index it under their Science section) and why anyone would think this looks appetizing, beats me. Why is the Halloween Whopper turning poop green? Burger King's new Halloween-themed Whopper is causing a lot of kerfuffle on the Internet, and for good reason: Apparently, the special black bun turns your poop bright green. We've reached out to good old BK for comment on what ingredients might be causing this, and we'll update you as soon as we hear back. But for now all we've got is speculation. Wild speculation! They look BLACK to me? 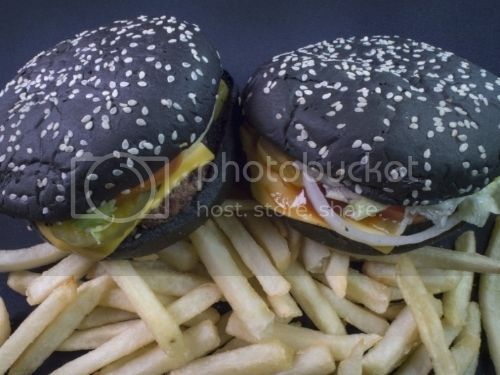 I think NZ having a choice of three different buns, one being "all-black bun" is NOT subtle. The limited-time burger's build is beef, American cheese, ripe tomatoes, lettuce, mayo, pickles, white onion and A.1. Thick and Hearty Sauce. The price comes in just under the traditional fast-food burger ceiling at $4.99. The black-bun craze has been spreading: In New Zealand, where black is the national color and the national rugby team is the All Blacks, Wendy's is selling a Kiwi Classic burger that can ordered on an all-black bun, half black or all-white brioche bun. Ah, I just noticed in the ad, the bun is called "full black" not all-black. That, at least, was the result when a police officer pulled over one of Google's self-driving cars Thursday in Mountain View, California. The car wasn't speeding. 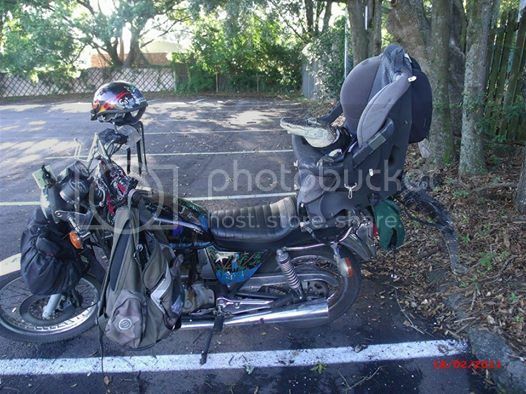 On the contrary, it was driving too slowly -- 24 miles per hour in a 35 mph zone, according to the Mountain View Police Department -- with traffic apparently backing up behind it. 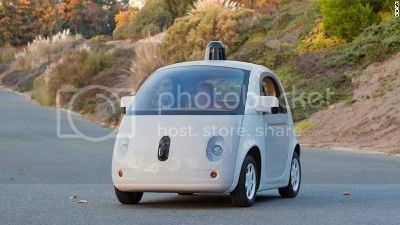 "As the officer approached the slow moving car he realized it was a Google Autonomous Vehicle," a police department post said. Hi palm... might be a case of "Schadenfreude"
Related to the absolute JOY I get every time I see Reb-Z get pepper spray in the face.. or Blossom Masri get phone jacked, or arrested. However... that pleasure needs a certain amount of "just deserts" involved... this poor couple don't fit that bill. I went looking for a photo and found an article.. 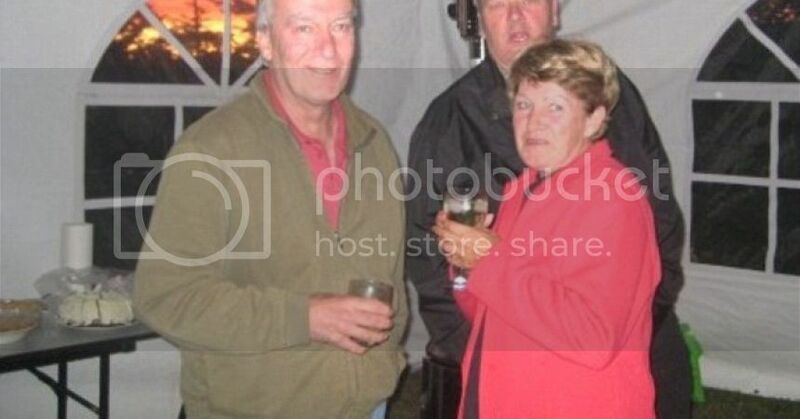 I feel sorry for them and the family. A Florida woman was fighting Wednesday to keep her 6-foot-long clothes-wearing, motorcycle-riding pet alligator in her home. The 125-pound reptile named Rambo even has a bedroom in Mary Thorn's home in Lakeland. Thorn has had a license for the alligator for 11 years, but the gator recently grew to 6 feet. Wildlife officials say an alligator that size must have 2.5 acres of land. Thorn told the Orlando Sentinel that even if she had land available, Rambo can't be left outdoors because of sensitivity to sunlight. Apparently grounds keeper of flea market in Harris County wanted to close and "asked" people to leave ... With a MACHETE? Really? May just be a crazy, wonder if we will hear rest of story? I have lots of friends in Houston, so I get ALERTS on iPad for KHOU. Just thinking, "I wonder how old Octomom's kids are now?". Remember the single mom with six children and she decided to have a litter of eight more? It has been eight years since the Octomom shocked the world by giving birth to octuplets she conceived through in vitro fertilization. The Octomom, who prefers to go by her name Natalie Suleman, threw her youngest eight a vegan birthday party. They turned eight years old on January 26. Inside Edition captured the children playing at the bounce house bash in a special that airs Monday afternoon.